Your report rightly points out (Quarter of homes now in fuel poverty, 2 December) that the government should be highly embarrassed by new estimates that one in four English households is now in fuel poverty. But its reaction to this escalating problem would sadly suggest the contrary. 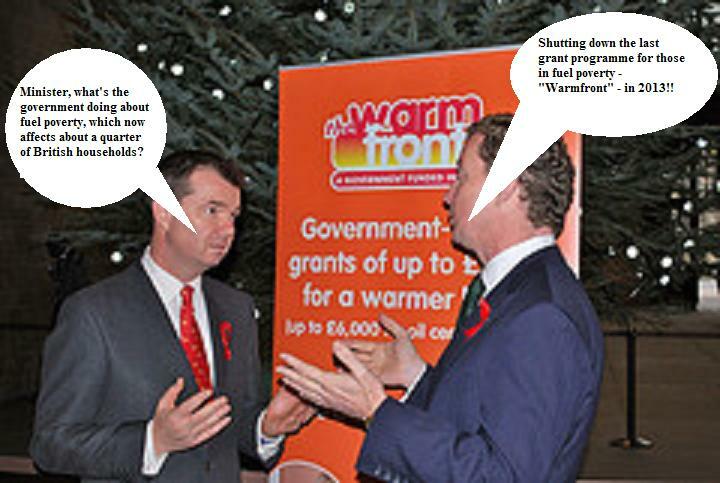 Warm Front, the government’s one remaining grant programme for the fuel-poor, has had its budget slashed by two-thirds over the next two years and will end completely in 2013. Even more worrying was last week’s government consultation on the new Energy Company Obligation, which is designed to subsidise energy efficiency measures for low-income and vulnerable households from 2013. With 4.1m English households officially in fuel poverty in 2009 – and with a government duty to eradicate this scourge by 2016 – we hoped that the consultation would include ambitious plans for tackling the problem. Instead we find that, even on the most ambitious estimates, the ECO will bring relief to only 840,000 fuel-poor households by the end of 2015. This will mean at least 3m households left to choose between heating and eating. In addition to urgently helping them with their energy bills, the answer to fuel poverty is to increase dramatically the energy efficiency of the housing stock, so that homes are effectively “fuel poverty proofed”. More money must be found – and we urge government to use rising Treasury receipts from VAT on energy prices and the revenue from carbon trading and taxes to be directed into schemes to end the misery of fuel poverty. *It’s true, I didn’t try very hard. This entry was posted in Energy, humour and tagged decc, fuel poverty, greg barker, warmfront. Bookmark the permalink.